Congratulations on your engagement! You’ve bought the engagement ring, announced it to your friends and family and you may have even had an engagement party by now … but where to from here? You might have an idea about the type of wedding you want, but which steps are the most vital to take first when planning it? 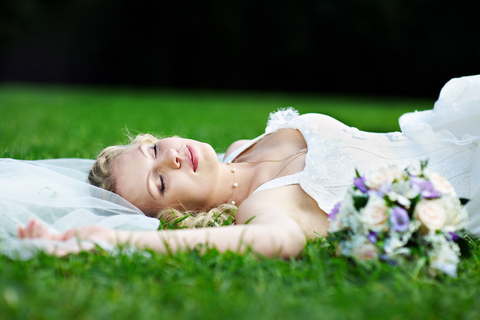 We have listed below the first five steps that all soon-to-be bride and grooms should take. Once these have been sorted the timeline and planning process will naturally start to fall into place. This is a nice and easy small step for a newly engaged couple to take. And the best part is this simple step will fast become your best friend during planning. Use the scrapbook to store pictures you have cut out of magazines, write down notes to yourself when inspiration strikes and even paste in some past wedding invites and place cards that you have received before. But the most important part, keep a list of names, phone numbers and other contact details of all suppliers you are planning to use for your wedding. Even keeping each supplier quote you are given in this book will be handy so it is all in one spot for ease of reference. Write down your appointment times and your thoughts on a place as soon as the appointment is over. You will be so grateful to have all of this information in one place that can easily be lugged to work, appointments and pulled out on the sofa in the evening. Set yourself a realistic wedding budget and stick to it. Try to be as thorough as possible by allocating money to all of the major areas such as: Reception, photography, invitations, food and beverages (if they are not already included in your reception package), cars, decorations and of course the outfits. When you are tempted to break the budget on one of these aspects, take a look at which category you can ‘steal’ the budget from to pay for it. It makes it much easier to prioritise when you look at it in that way, i.e. is better invitation stock really more important than that dress you have your eye on? A good place to start is to begin by agreeing with your fiancé on some vital points such as whether you want a summer or a winter wedding. Once you have narrowed down to a month that you are happy with, try to be as flexible with the date as possible. That is because once you find the reception or ceremony location of your dreams you may have to compromise on the date if yours has already been taken. So unless there is a specific date you must be married on for whatever reason, try to keep an open mind on this point. Venues often book out a year in advance, so it is important to secure this before anything else. Once you have found a place you love, lock it in. This means you have now cemented a date, a time and a location and everything else can be planned and worked around this. Your timeline can now be worked out based on a real end date and when planning flowers and cars etc you can get a solid quote, as you know the specifics of the date and location of your wedding. Bridesmaids and Groomsmen aren’t there just to turn up on the day. Choose them early, as they can become a huge help with the planning and preparations in the lead up to the big day. Don’t be afraid to set them to work! Finish these five steps and you will already be well on your way with your wedding planning. Good luck!